Looking for hotels near Place du 16 Novembre? Set in Marrakech, 1312 feet from Marrakech Plaza, 2Ciels Boutique Hôtel features air-conditioned rooms with free WiFi throughout the property. Set in the Medina district in Marrakech, Riad Alili features an outdoor pool and spa center. There is a 24-hour front desk, a shared lounge, concierge service and shops at the property. Located an 11-minute walk from Majorelle Gardens, M Appart features free WiFi and units equipped with a kitchen, terrace, seating area and flat-screen TV. Located a 3-minute drive from Koutoubia and a 10-minute walk from Jemaâ el Fna Square, Riad Gallery 49 is a traditional-style riad. Located in the heart of Marrakech’s medina, a 5-minute walk from Jamaâ El Fna Square, this traditional riad offers air-conditioned rooms and a rooftop terrace with views of the Koutoubia. Set in Marrakech, 1312 feet from Marrakech Plaza, 2Ciels Boutique Hôtel features air-conditioned rooms with free WiFi throughout the property. Staff was attentive and friendly. Sound proof room. Huge and comfortable bed in delux double room. Four Seasons is a 3-minute drive from the Menara Gardens. It offers an outdoor swimming pool surrounded by palm trees, sunbeds and a rooftop terrace. A wellness center and free Wi-Fi are available. The staff and food were fabulous. The location and grounds were perfect. With views of the Atlas Mountains, this 5-star hotel is 15 minutes’ drive from Marrakech’s Medina and Jamaâ El Fna Square. Set in a garden with a pool, it has a spa, terrace and a restaurant. Great facilities , clean hotel, lovely people. Spread across 2-hectares of gardens, this boutique hotel, renovated in January 2018, is 10 minutes’ shuttle ride from Jemaâ El Fna Square and faces the Atlas Mountains. Mom and I stayed 3 days in this beautiful Hotel. Located in the heart of the luxurious district of Hivernage in an 8-hectare park, 5 minutes’ walk from the heart of old Marrakesh, Es Saadi Marrakech Resort - Palace offers a 9843 ft² spa, a 7874 ft²... Gorgeous place, spacious and well-appointed room, luxurious and refined in every way. 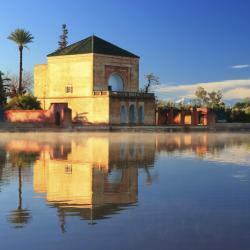 A luxury outdoor swimming pool and a spa with massages are featured at La Sultana Marrakech. 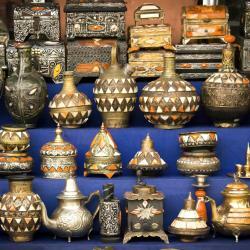 It is a 10 minute walk from Jamaâ El Fna Square and features a rooftop terrace. The service was amazing. Thanks in particular to the manager that was awesome! 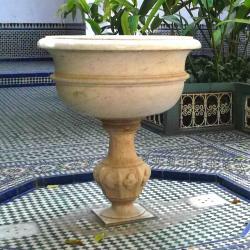 This luxurious hotel is a 2-minute walk from the famous Jamaâ El Fna Square. It features a Carita Spa, a hot tub and the outdoor swimming pool is surrounded by palm trees. 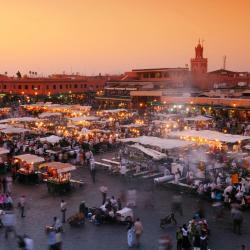 This hotel is in the best location for the square and the souks. It has a fabulous spa and 3 pools. Hotels with great access to Place du 16 Novembre! 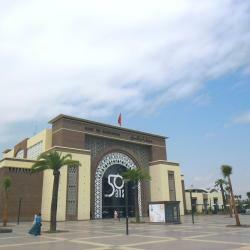 Offering a restaurant and a swimming pool, Hôtel & Ryad Art Place Marrakech is located in Marrakech. Free WiFi access is available. Each room here will provide you with air conditioning and a... This was one of the most incredible experiences we have had in a long time. The Naoura Barrière is spread over a beautiful garden landscape, centrally located in Marrakesh near the heart of the medina. It offers a peaceful setting and luxury facilities. Warm and friendly staff in a gorgeous setting. 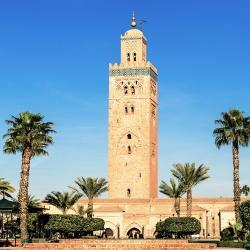 Offering an outdoor pool and a restaurant, Radisson Blu Hotel Marrakech Carré Eden is located in Marrakech. Free WiFi access is available. Nice staff. Good breakfast, and excellent location and facilities. The Pearl Marrakech features a rooftop swimming pool, 3 restaurants and a lounge bar with an art gallery. Service from staff was excellent. 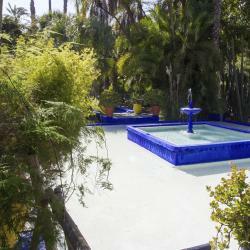 Boasting an outdoor swimming pool, garden, terrace and free WiFi, Majorelle city center boutique hotel & spa is located in Marrakech, 1640 feet from Majorelle Gardens and less than 0.6 mi from Yves... Super friendly and helpful staff. Well located. Good wifi.